For automatic trading with expert advisors on MT4 terminal. In cooperation with a leading hosting services provider Plug & Cloud we offer VPSs to our clients with special prices. How to get VPS hosting? Just create an account at Share4you or Forex4you. All clients will have a free trial period and attractive tariff plans starting from $10 per month. 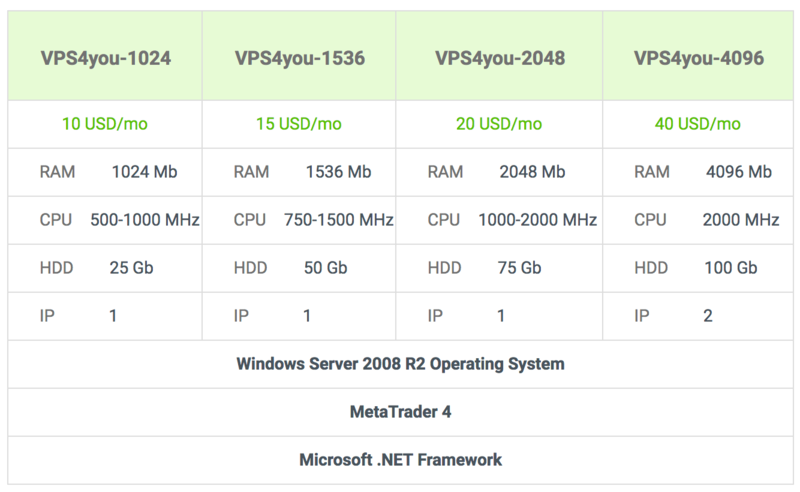 Login into yout Trader Room and go to “My funds” section and choose option “Order VPS”.